Bachelor of Culinary Arts and Business graduate, Candy Gunawan, is sweet, from her name to her personality, and I was excited to catch up with her and find out more about her culinary adventure. At the age of just 22, the budding pastry chef has graduated from Le Cordon Bleu New Zealand and opened an online Pâtisserie in Indonesia. Candy has always loved creating interesting desserts and I was the happy guinea pig who got to try them when we flatted together. 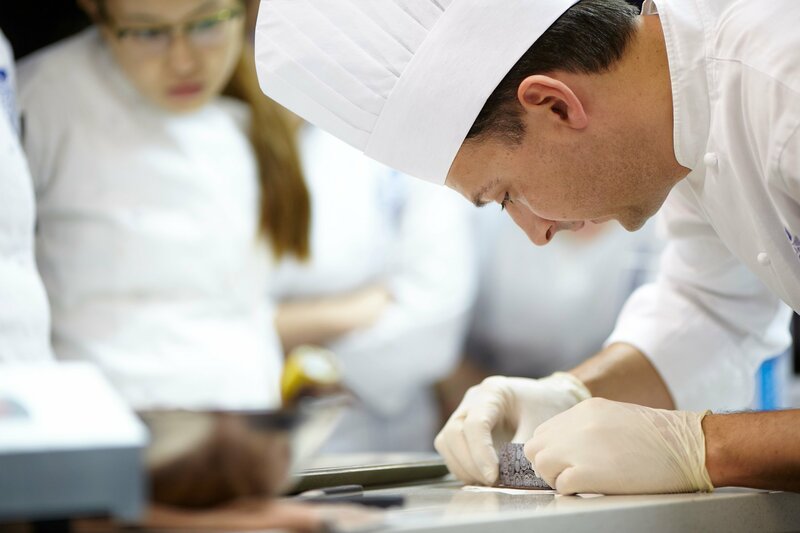 “Everyone knows it’s the best culinary school in the world! It was always my dream” and that is the reason why she chose Le Cordon Bleu. The pâtissier-wannabe loved the fact that Le Cordon Bleu teaches traditional French techniques combined with modern styles and concepts, such as molecular gastronomy. The most exciting part was the fusion between classic French cooking techniques and local New Zealand ingredients. Candy finds Le Cordon Bleu so amazing as all campuses over the world teach traditional French cooking techniques while using ingredients from the country concerned. The versatility and showcasing of French techniques it is what makes Le Cordon Bleu unique and has left a positive imprint on Candy. Without a doubt, Candy’s favourite subjects were the cuisine and patisserie practical classes where she received hands-on learning experiences and perfected the basic culinary techniques. 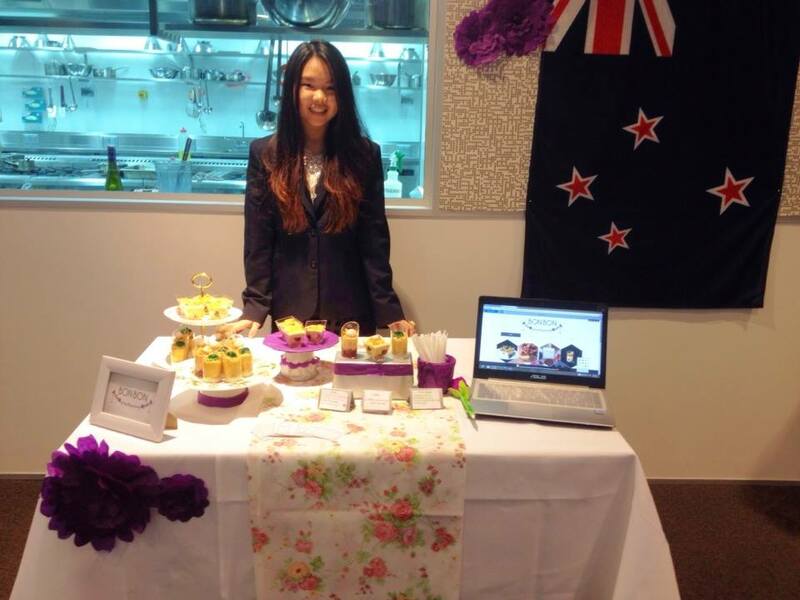 But besides the practical classes, Candy enjoyed the Marketing module and Restaurant Concepts. She grinned widely when explaining why Restaurant Concepts “was so fun”, “There was an assignment where we had to design a restaurant and it was like imagining our future businesses. I felt like I was building my dreams”. While we were flatting, Candy juggled two part-time jobs and her studies. I was extremely amazed at her time-management skills. Candy’s last position in Wellington, and her favourite one, was as a larder and pastry chef at Logan Brown, a fine-dining restaurant in Wellington and Supreme Winner of the 2009 Cuisine NZ Restaurant of the Year Competition. She absolutely loved the working environment there and made many good friends, with whom she still keeps in touch. In her final semester, Candy did a cooperative education project with Louis Sergeant- Sweet Couture, a French Pâtisserie, which prides itself on combining traditional French techniques with modern gastronomy. Candy knew that learning does not occur merely in the classroom and synchronised her dreams with her current studies. Her secret to balancing studies and work was to set time aside for both; have a planner, prioritise, and make sure all assignment deadlines are met. Most of Candy’s inspiration comes from her experiences studying at Le Cordon Bleu. She clearly recalls the pâtisserie practical on entremets, and thought to herself “why don’t I try making these with Indonesian flavours instead?” Candy’s inspiration and style of creating desserts can be summed up in a word: fusion. She enjoys fusing western and Asian ingredients, and French techniques with Asian ingredients. Her most recent creation, a tea-flavoured entremet, is made with traditional Indonesian black tea, Teh Bandulan, infused into the mousse and layered with apple compote and topped with an apple peel crumble. As most Indonesians grew up drinking this tea, she wants to spark a nostalgic feeling when they bite into the dessert. Candy’s day-to-day life inspires her desserts; from walking around the market to eating at a local restaurant. When she tries a drink or comes across a particular dish, a thought floats across her mind: “I think I can recreate this at home”. She loves taking advantage of the sweet local Southeast Asian fruits available within her reach, and incorporates them into her creations. At the age of just 21 and almost immediately after graduating, Candy opened her online Pâtisserie, Quenelle Pâtisserie. Quenelle Pâtisserie has three main products; choux pastry, small entremets, and large cake-sized entremets. Candy tries to make unconventional flavours and seasonal products, such as Valentines’ day specials. The rising star makes all her desserts from the comfort of her family’s former home. 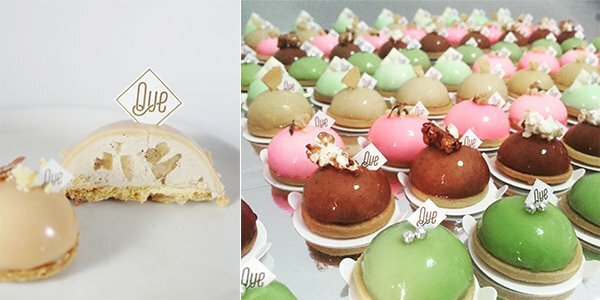 As Quenelle Pâtisserie is a one-woman show, Candy keeps it simple by only using Instagram as a marketing platform and communicating directly with customers. The perfectionist does everything from ordering ingredients to garnishing the entremets. “Of course everyone faces challenges!”, Candy remarked. Her biggest challenge was being homesick while studying in Wellington. And as an international student, I can relate to this. Missing your family and friends back home is tough at times, but Candy overcame it by reminding herself why she came to Wellington to study and what she wants to achieve. Despite having accomplished so much at such a young age, Candy is still thirsty for knowledge and experience. She dreams of learning from chefs around the globe and this new adventure commences in July where she has a 3-month internship at Noma, voted the world’s best restaurant at The World’s 50 Best Restaurants Awards. Candy will be a part of a group of fresh-faced and eager young chefs wanting to learn more about new Nordic cuisine and restaurant life. The budding pastry chefs dreams of opening a Quenelle Pâtisserie-Café after travelling and learning from the best. Candy’s heartfelt advice to students is to “Enjoy everything at school. Sometimes, it is hard to balance studying, working, sleeping, and socialising. But do not worry too much. Do your job as a student. Most importantly, have a good heart and patience in everything you do. I used to worry so much but everything worked out”.